Hello everyone! It's Berina here today. 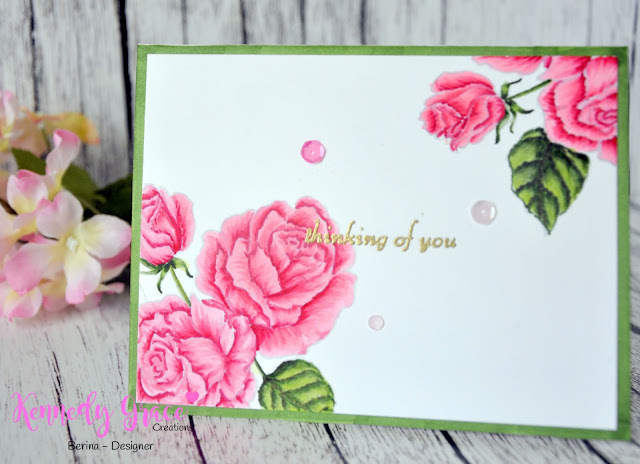 I have a lovely card using the Splendid Roses stamp set with the colors from the February Moodboard. I stamped the flowers using the Brutus Monroe City SideWalks ink for no-line coloring. I colored the flowers and leaves with Copic markers. I gold embossed the sentiment slightly overlapping the flowers. I added sequins from the Frosted Cupcake sequin mix. We would love to see your creations using the Kennedy Grace Creation. Share them with us on Facebook and Instagram with #kennedygracecreations. Thanks for stopping by. Have a great day! I've never heard of your company before! I found you through Berina's blog & Kathy Rocoosin's Coloring Challenge! NOW, I need to look at your store! ;) What I see with Berina's creation here looks LOVELY!!!! 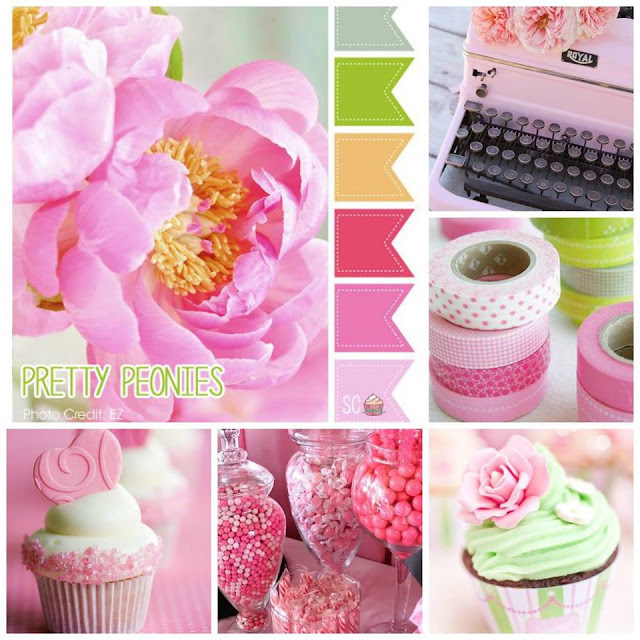 I ADORE FLOWERS!! !